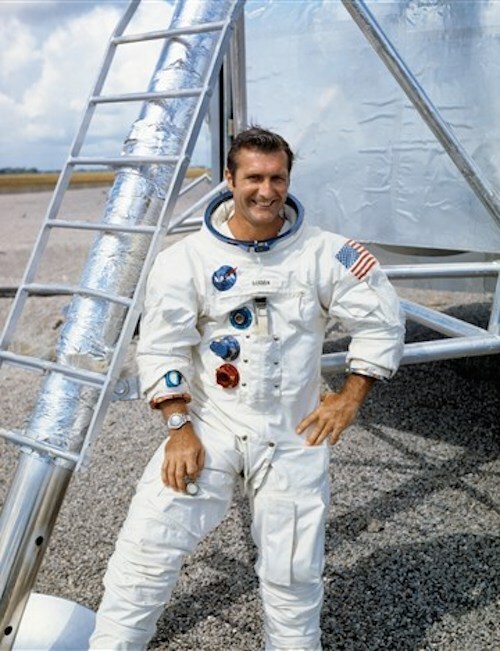 Retired space flyer was one of only two dozen people ever to have journeyed to the moon. Richard F. Gordon, Jr., a former NASA astronaut who in 1969 became one of only two dozen people ever to have flown to the moon, died yesterday at the age of 88 at his home in California. 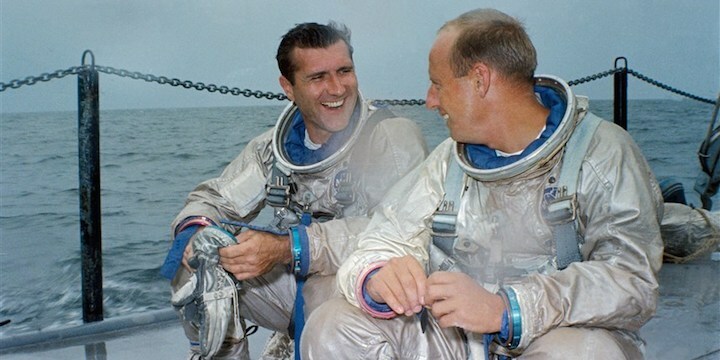 Gordon, whose death was announced by the Astronaut Scholarship Foundation, joined the space agency in 1963 after a career in the U.S. Navy. He was a veteran of two NASA missions. In 1966, he served as pilot of Gemini 11, during which he performed two spacewalks. Three years later, he was the command module pilot of Apollo 12, which was the second mission to visit the moon. “NASA and the nation have lost one of our early space pioneers,” acting NASA administrator Robert Lightfoot said in a statement issued after Gordon’s death. Lightfoot called Gordon “a hero from NASA’s third group of astronauts,” which also included Apollo 11 moonwalker Buzz Aldrin and 12 others. In a 1999 interview, Gordon said that in going to the moon, he and the other Apollo astronauts who made the journey had, in a sense, discovered our own planet Earth. “From 240,000 miles away, it’s very beautiful...a very delicate planet sitting out there in the blackest — it’s the blackest black you’ll ever see! It’s just devoid of any color whatsoever. And it’s been described like a Christmas tree ornament hanging out there. You can’t see how it’s suspended or anything. It’s — philosophically you could emote about it, I’m sure, for quite some time. 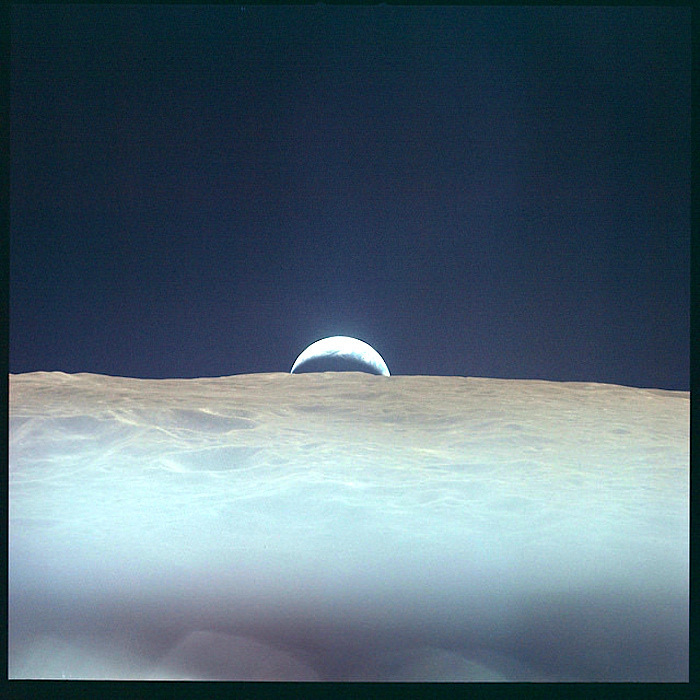 But it is a startling picture to look at the Earth coming back from being around the moon." Gordon was born in Seattle on Oct. 5, 1929. He graduated with a degree in chemistry from the University of Washington in 1951 and served as a Navy test pilot and instructor before joining NASA. After leaving the space agency in 1972, he served for several years as an executive with the New Orleans Saints. He also held several positions with companies in the oil and gas and other industries. Gordon is survived by six children and two stepchildren. Godfrey L. Cabot Award in 1970, the Rear Admiral William S. Parsons Award for Scientific and Technical Progress, 1970; Phi Sigma Kappa Merit Award, 1966; NASA MSC Superior Achievement Award; NASA Group Achievement Award; FAI Record.1961 (Transcontinental Speed Record); and FAI World Record (Altitude Record, Gemini XI). TECHNICAL PAPERS: Gordon, R. F., F4H-1 NAVY PRELIMINARY EVALUATION, Phase I, NAS Patuxent River, Maryland, September 1958. Gordon, R. F., GEMINI XI, GEMINI PROGRAM MISSION REPORT, NASA Manned Spacecraft Center Report, October 1966. Gordon, R. F., APOLLO XII MISSION REPORT, NASA Manned Spacecraft Center Report, December 1969. He was also a student at the U.S. Naval Postgraduate School at Monterey, California. He has logged more that 4,500 hours flying time--3,500 hours in jet aircraft. On September 12, 1966, he served as pilot for the 3-day Gemini XI mission--on which rendezvous with an Agena was achieved in less than one orbit. 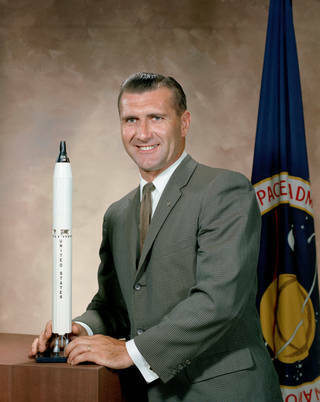 He executed docking maneuvers with the previously launched Agena and performed two periods of extravehicular activity which included attaching a tether to the Agena and retrieving a nuclear emulsion experiment package. Other highlights accomplished by Gordon and command pilot Charles Conrad on this flight included the successful completion of the first tethered station-keeping exercise, establishment of a new altitude record of 850 miles, and completion of the first fully automatic controlled reentry. The flight was concluded on September 15, 1966, with the spacecraft landing in the Atlantic--2 1/2 miles from the prime recovery ship USS GUAM. He occupied the command module pilot seat on Apollo 12, November 14-24, 1969. Other crewmen on man's second lunar landing mission were Charles Conrad, spacecraft commander, and Alan L. Bean, lunar module pilot. 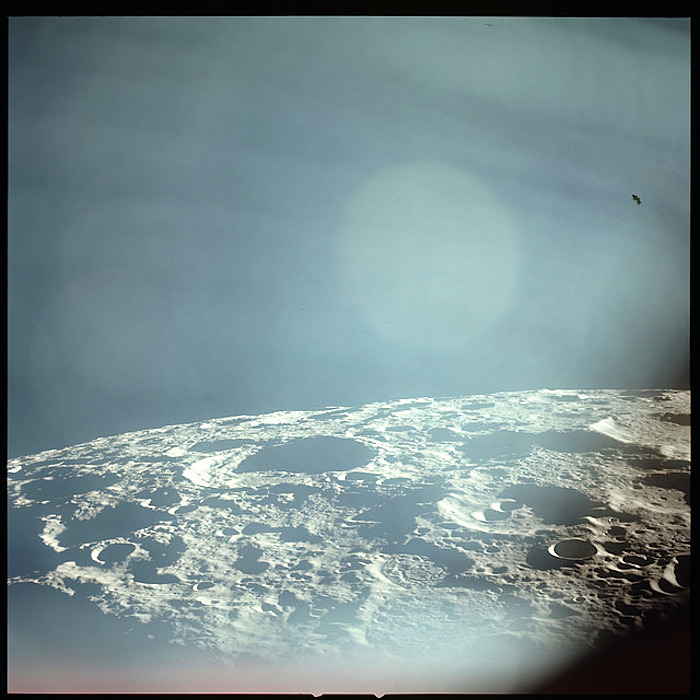 Throughout the 31-hour lunar surface stay by Conrad and Bean, Gordon remained in lunar orbit aboard the command module, "Yankee Clipper," obtaining desired mapping photographs of tentative landing sites for future missions. He also performed the final re-docking maneuvers following the successful lunar orbit rendezvous which was initiated by Conrad and Bean from within "Intrepid" after their ascent from the moon's surface. All of the mission's objectives were accomplished and Apollo 12 achievements include: The first precision lunar landing with "Intrepid's" touchdown in the moon's Ocean of Storms; the first lunar traverse by Conrad and Bean as they deployed the Apollo Lunar Surface Experiment Package (ALSEP), installed a nuclear power generator station to provide the power source for these long-term scientific experiments, gathered samples of the lunar surface for return to earth, and completed a close up inspection of the Surveyor III spacecraft. Captain Gordon has completed two space flights, logging a total of 315 hours and 53 minutes in space--2 hours and 44 minutes of which were spent in EVA.